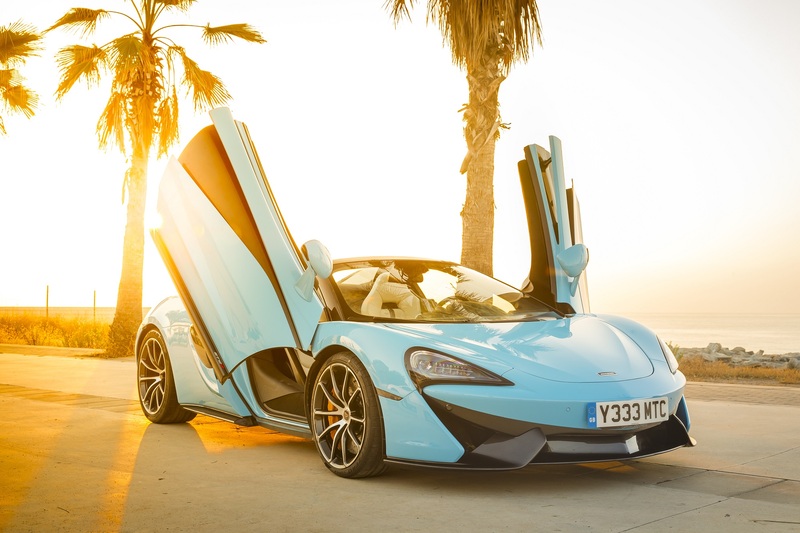 Want your own McLaren 570S Spider? If you were at the Goodwood Festival of Speed this year, you would have witnessed the global launch of the new McLaren 570S Spider. Even if you weren’t, you probably caught photos of the car while trawling the Internet or the social media space. And like us, you probably couldn’t help letting your eyes feast on the beauty that it is. Well, good news for us in Singapore, because the latest addition to the brand’s Sports Series is now open to orders from our island nation. Combining the high-performance attributes of the 570S Coupe, the Spider adds more exhilaration with open-air driving, thanks to a retractable hardtop that makes use of the same technology in the McLaren 650S and 675LT Spiders. The roof takes approximately 15 seconds to open or close, whether the car is stationery or moving at up to speeds of 40km/h. Additionally, the car comes with a glazed wind deflector that can be electrically operated with a button, reducing wind-buffeting. Even with a retractable roof, performance isn’t compromised. Similar to the Coupe, the Spider is constructed with carbon fibre and is fitted with an eight-litre twin-turbocharged V8 engine with seven-speed gearbox, which will be able to deliver 570 rhoses and 600Nm of torque. The century sprint will take just two seconds while top speed is at 328km/h with the roof in place. Top-down, maximum speed is at 315km/h. “The McLaren 570S Spider is the most attainable McLaren Spider to date and adds yet another dimension to the McLaren Sports Series family. This is a convertible without compromise; its mid-engined layout and carbon fibre MonoCell II chassis guarantee the same thrilling dynamic performance and exceptional driver involvement enjoyed in a 570S Coupé, but with the added attraction of a retractable hard-top that delivers the extra exhilaration of roof-down motoring,” says Mike Flewitt, CEO of McLaren Automotive. We can’t wait to spot these super-rides on the road. Read our report on McLaren and the Goodwood Festival of Speed 2017 in our September 2017 issue.